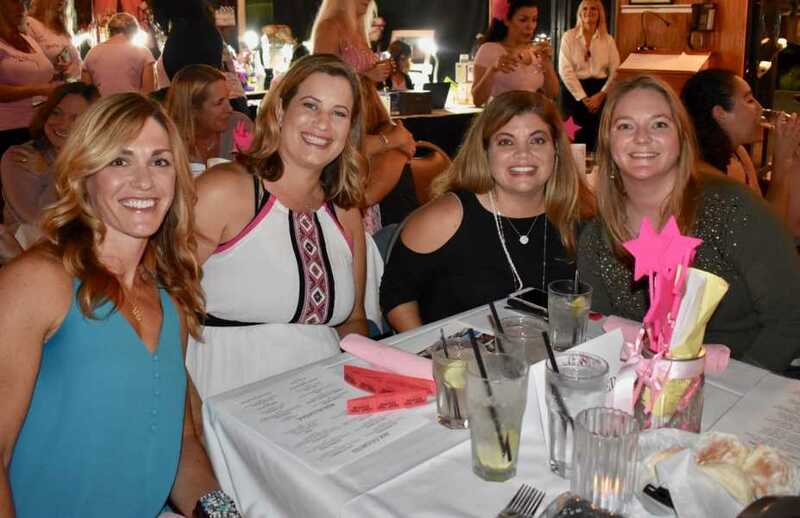 Nearly 600 women dressed in pink celebrated the 16th Annual “Rock your Pink” fundraiser at the Comedy and Magic Club on the evenings of Oct. 2, 3, and 4. 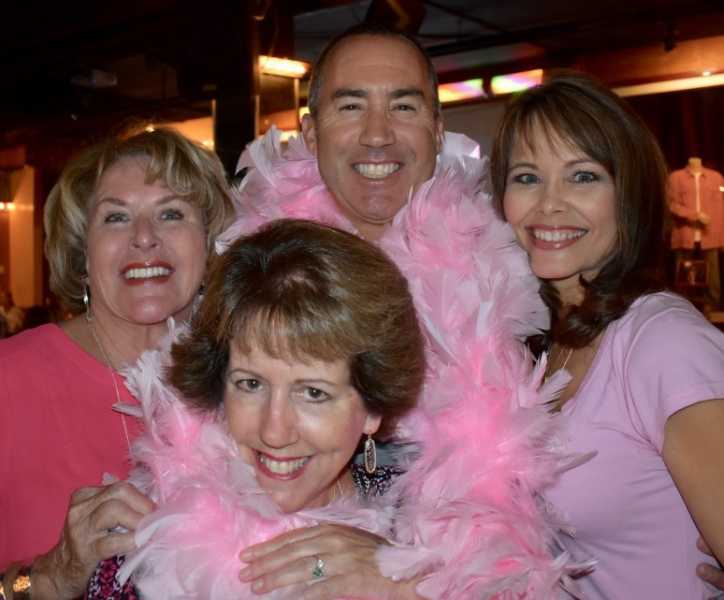 The event netted $200,000 for free programs for cancer patients and their loved ones. The programs are offered by Cancer Support Community Redondo Beach (CSCRB), on the Redondo Beach pier. Speaker Maryka de Orla was diagnosed two years ago with an aggressive type of breast cancer that resulted in the loss of her job and home. She and her disabled daughter lived in their car for nearly a year. CSCRB helped her get back on her feet. Other speakers included Maxine Hawk, who lost her arm to a rare sarcoma. 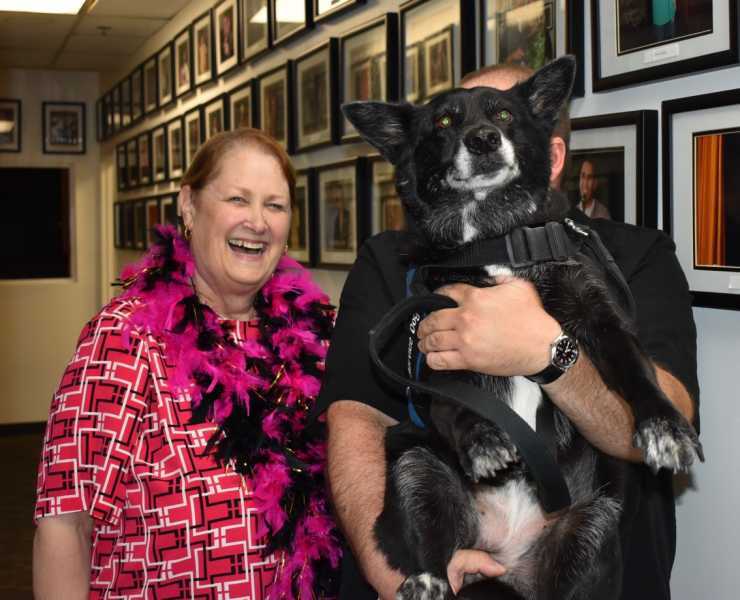 Through a connection in her CSCRB support group, she was able to obtain a service dog “Shayna” through the TV show “Rescue Dog to Super Dog” on Animal Planet. 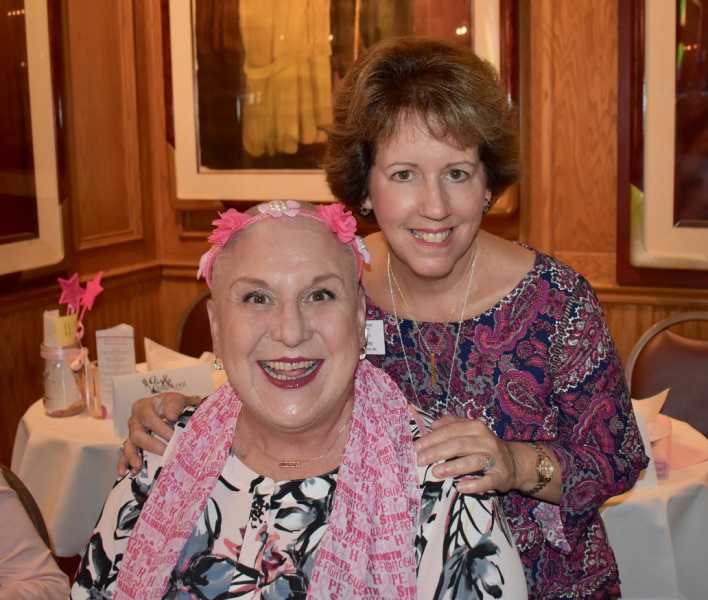 CSCRB board member Deb Patrick shared her story of how CSCRB helped her through the loss of her husband to esophageal cancer while simultaneously dealing with the breast cancer diagnosis of both her stepmother and sister, and then her own battle with the disease. 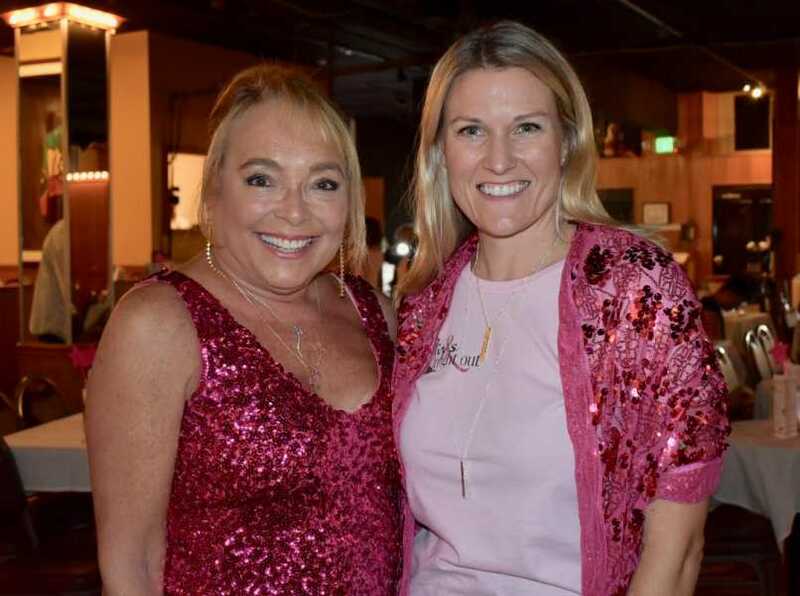 Paula Moore, who assumed the position of executive director/CEO of CSCRB this year following the 24-year tenure of Judith Opdahl, reported that the event exceeded the fundraising goal by 20 percent. Auctioneers for the three evenings were CSCRB board member Rebecca Weintraub, Mayor of Manhattan Beach Steve Napolitano and 10-time Emmy award winning cameraman David Plakos. The show also boasted an impressive lineup of comedians, including a surprise visit from actor/comedian Paul Reiser. 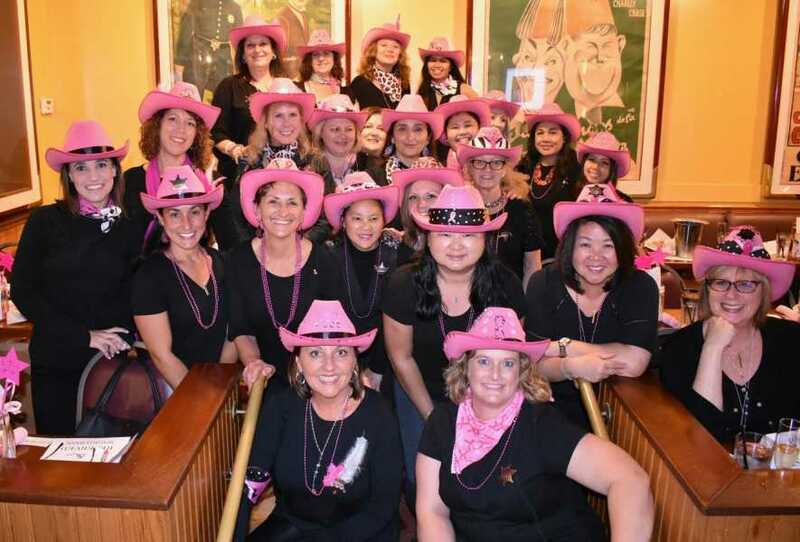 Sponsors include the Jacqueline Glass Family, South Bay BMW, Dr. Allen and Charlotte Ginsburg, Joanne and Jim Hunter, Macy’s, Christine Winkler, PhD, Nordstrom, Deb Patrick and The Comedy and Magic Club. For more information about Cancer Support Community’s free educational and support programs call (310) 376-3550 or visit www.cancersupportredondobeach.org.